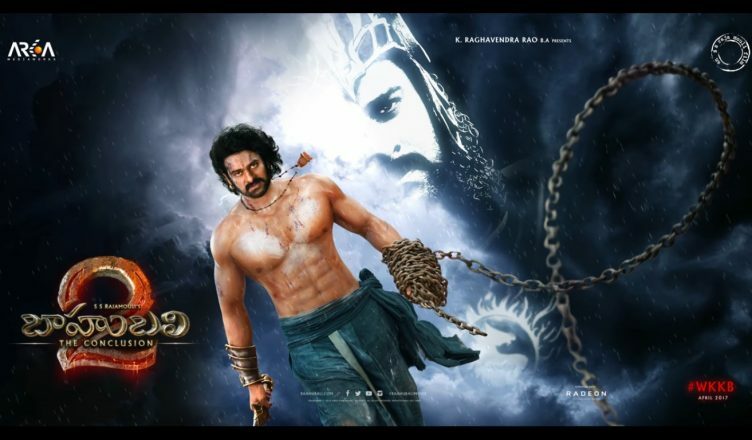 BAAHUBALI 2 UNLEASHES HISTORIC, NEVER BEFORE SEEN CRAZE! Everyone knew that Baahubali 2 was set for a historic run at the box office. But the manner in which it has performed has surprised one and all. It was a never before seen performance by a film at the box office. We have witnessed films taking at least 3 days to cross the 100-crore-mark. But here was a film which collected 122 crore on the first day itself! Till Tuesday, the film has collected Rs 441 crore across all languages. It broke the record of the earlier part which had collected 419 crore. Hence Baahubali 2 becomes the biggest grosser of Indian Cinema in just 5 days! The Hindi version too is doing exceptionally well. It has collected 197.50 crore till Tuesday and by the time the week ends, it would have collected around 245 crore. It is certain that the Hindi version itself will break the 374 crore record of Dangal. How fare it goes and whether it’s able to cross the 500 crore mark remains to be seen. Also remains to be seen is whether the film, across all languages, is able to cross the 1000-crore-mark, something that I felt could happen in my last week’s Bollywood talk. Baahubali 2 has broken all rules that were laid down in order to deliver a successful film by Bollywood. Our big films always released during major festivals or extended weekends to rake in the maximum moolah. Baahubali 2 surprisingly comes on a normal non-Holiday Friday. It has no prominent name in the star cast that would entice the Hindi markets. What worked is that it’s a film shot in grand scale and most importantly, it has entertainment in very high doses. Of course, one can’t deny that the first part too was a huge success, more so on television than box office and that also played a huge part. It’s time to savour this super-duper-success of Baahubali 2. After all, one has no idea when something of this sort would ever happen again in our lifetime!